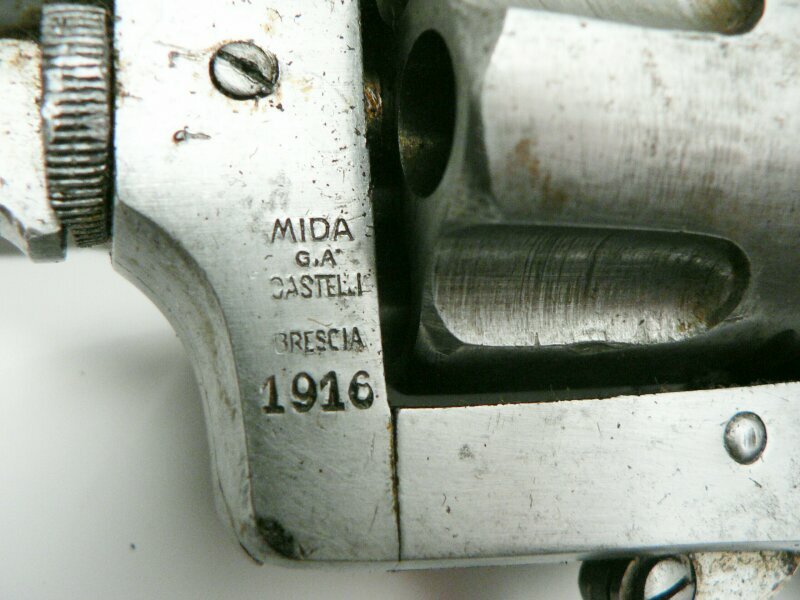 Mida GIA Castelli. 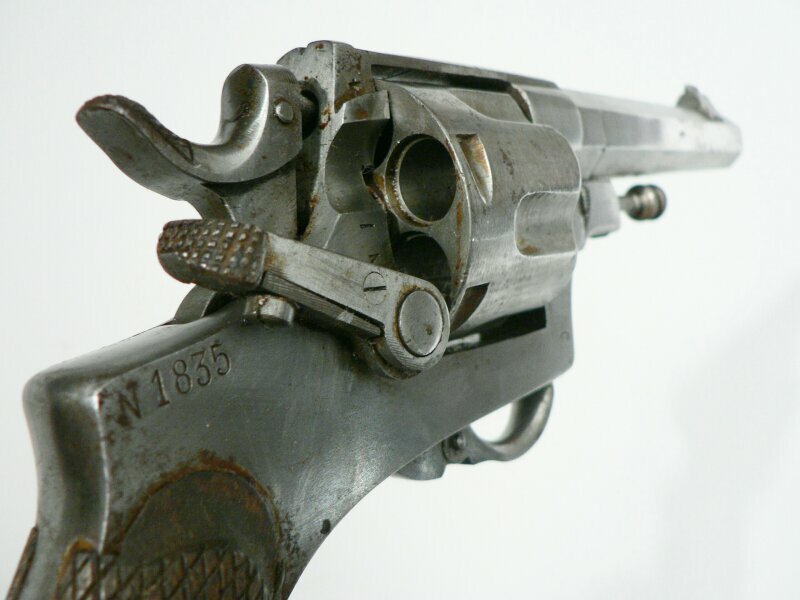 1916 marking/ WW1. These were carried by Italian infantry. 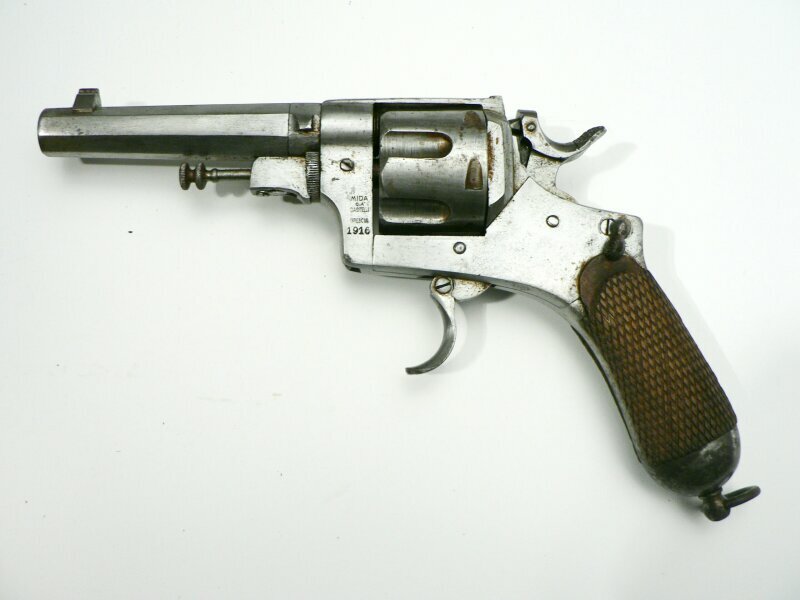 The 10.4 mm cartridge (sometimes called the 10.35 mm) was made for the French Chamelot-Delvigne design Italian Model 1874 revolver. 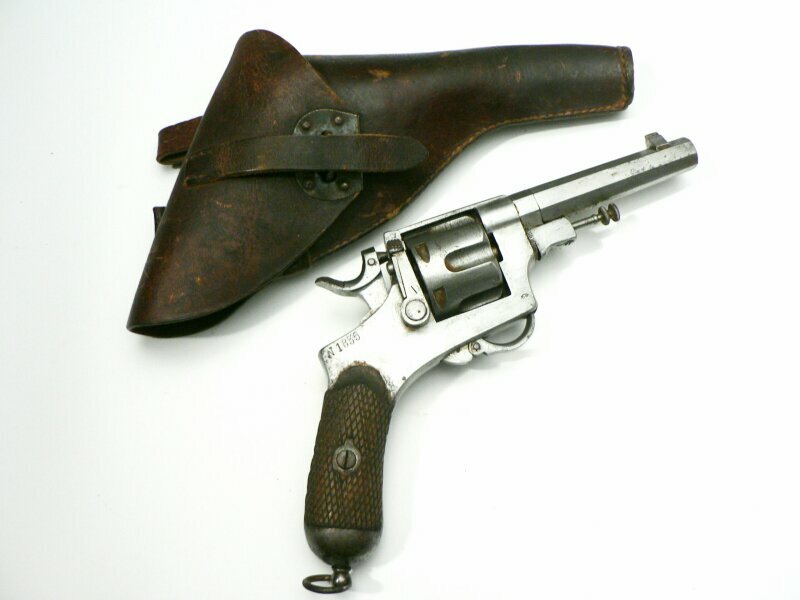 Version “A” recognized by the folding trigger and the lack of a trigger guard. 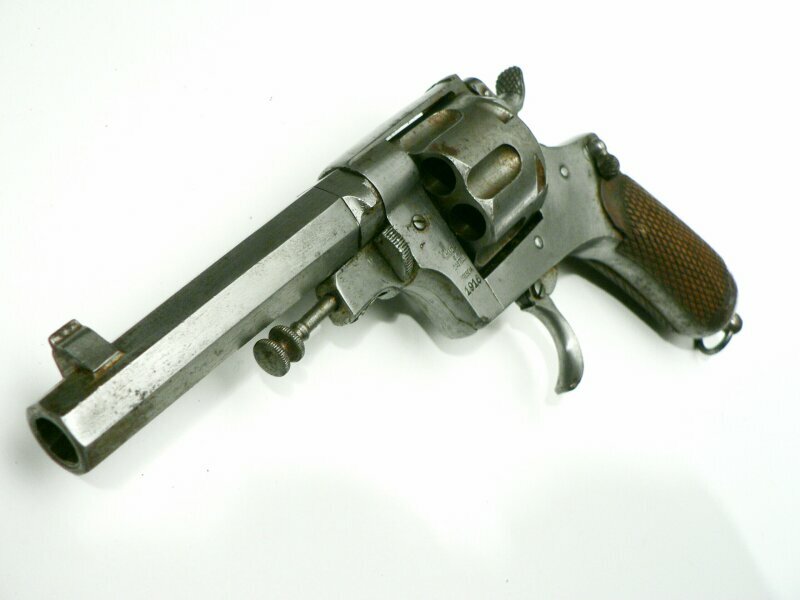 This 6 shot revolver, widely known as “the bode,” has a 4 1/2” hexagonal barrel, fixed sights and is a double action. 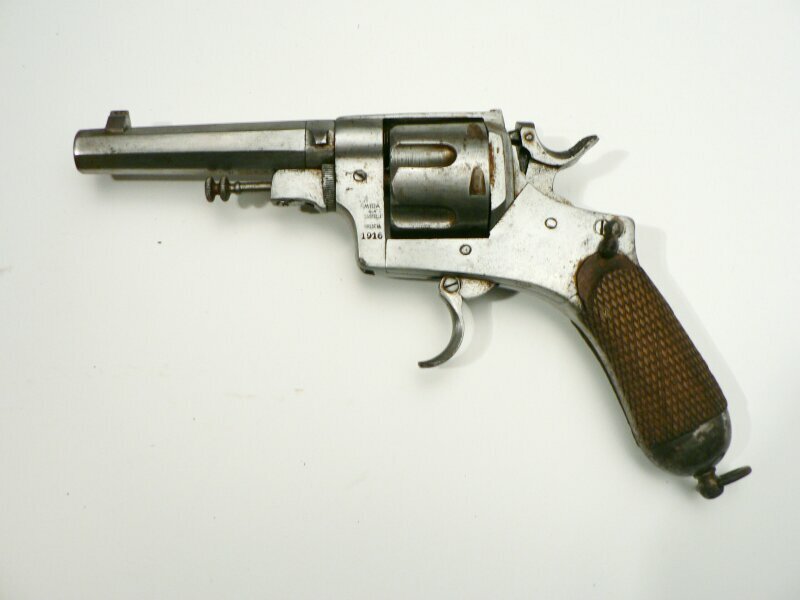 Mechanically this revolver is in pretty good condition, fully functional (loose), with a very good bore, deep rifling and no pitting or corrosion. 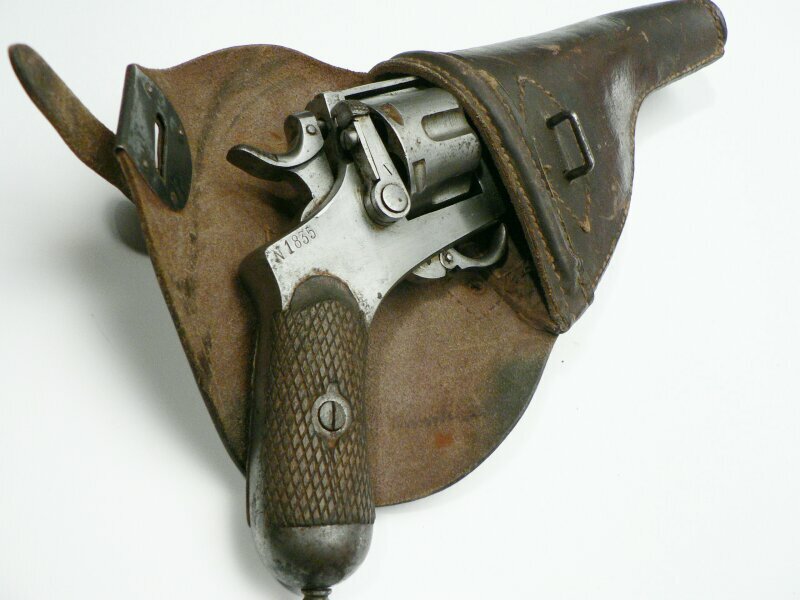 Including original holster !